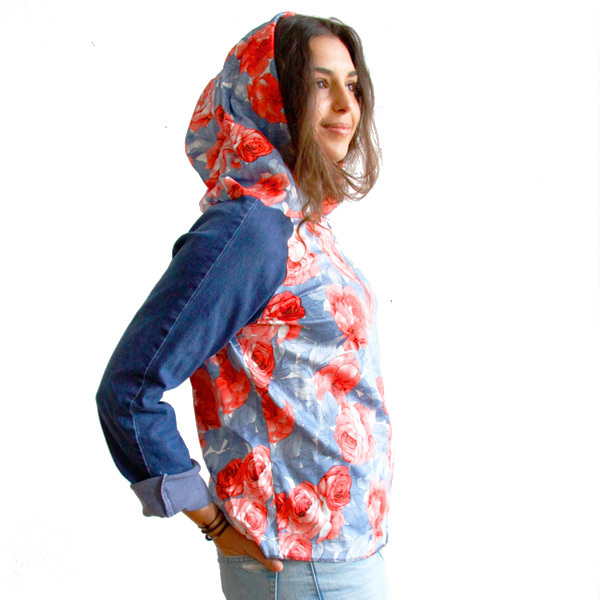 Hoodie in beautiful rose & leaves print with long sleeves. 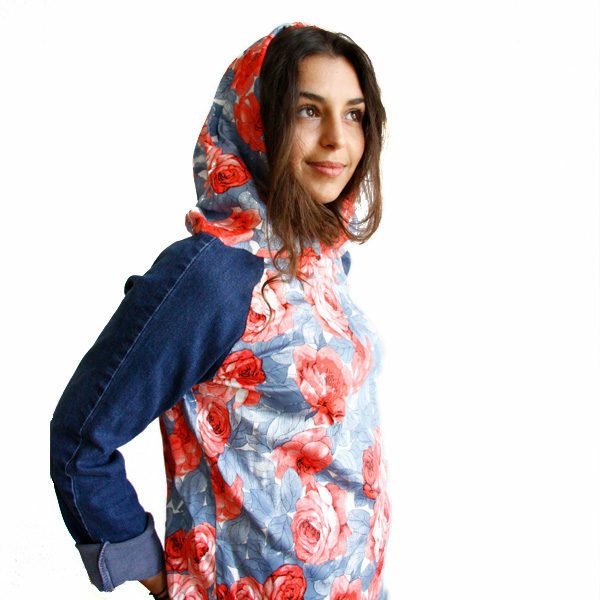 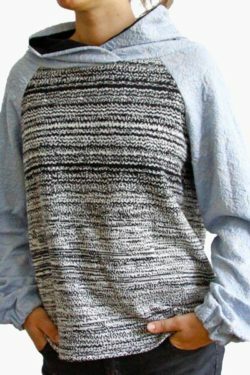 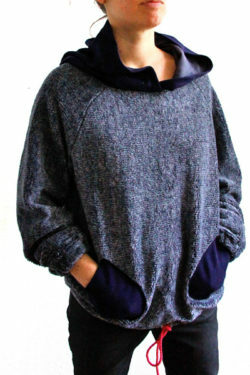 Sleeves made with recycled blue jeans. 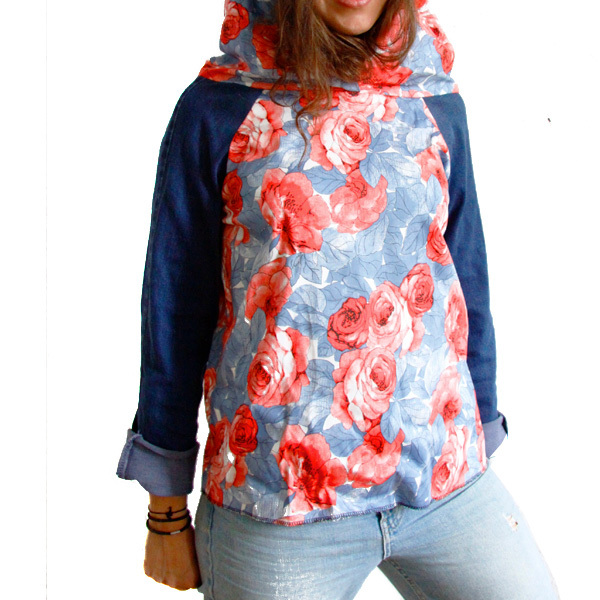 Delicate rose & leave print all over the hood. 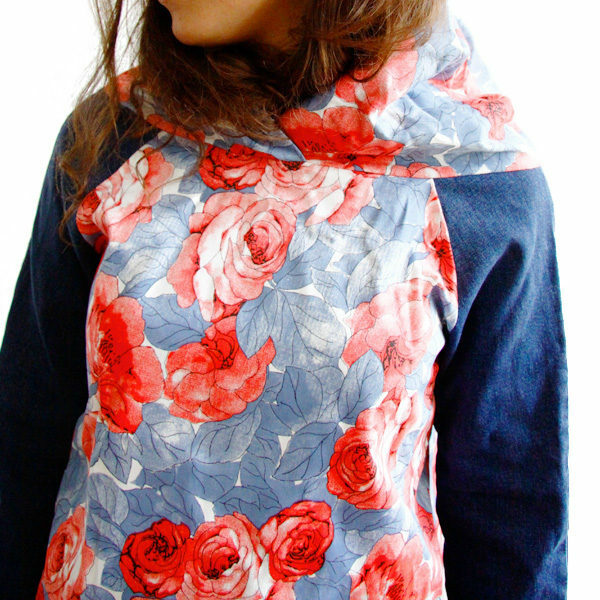 Made in cotton and jeans.